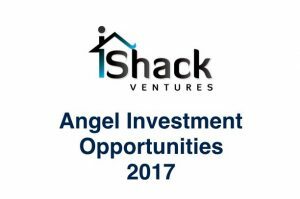 iShack Ventures is excited to announce that we will be facilitating three angel rounds of funding in 2017. As mentioned in our Ventures mission, we reduce the early-stage risks associated with Angel & Venture Capital investments by maturing opportunities to a post-prototype (MVP), post-revenue phase before scaling up the business, securing strategic partners, operations personnel and funding. 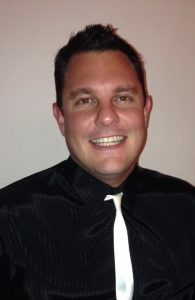 We have successfully matured VotingMonkey.com, Instant Property Rentals & our cross-platform auction facility to a “ready for angel funding” status. If you are interested in finding out more about these opportunities please contact me at your convenience. If you are interested in the Venture Capital industry and believe iShack Ventures can gain value by partnering with you or your business can gain value by partnering with iShack then fill out this form and we will be in contact with you. If you are interested in partnering with iShack on this Venture (Early is Best) then fill out this form and we will be in contact with you. If you are interested in partnering with iShack on this Venture (HelloChoice) then fill out this form and we will be in contact with you. If you are interested in partnering with iShack on this Venture (Instant Property) then fill out this form and we will be in contact with you. If you are interested in partnering with iShack on this Venture (Smart Building) then fill out this form and we will be in contact with you. If you are interested in joining the iShack team then fill out this form and we will be in contact with you. If you are interested in partnering with iShack then fill out this form and we will be in contact with you.